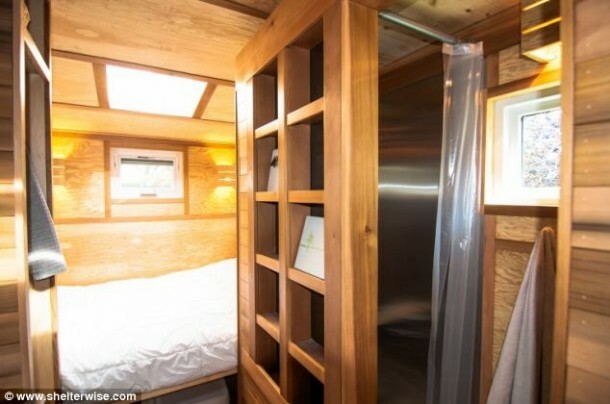 This mini home is made by Oregon-based Shelter Wise, and costs $22,500. 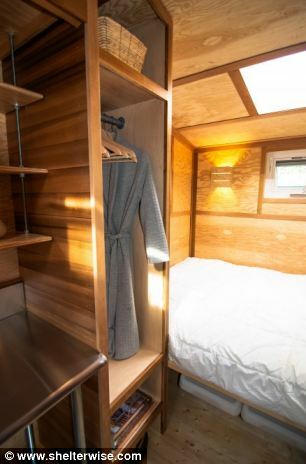 Called the Salsa Box, the home has just 96 square feet of space, but offers everything that a modern apartment hunter would need. 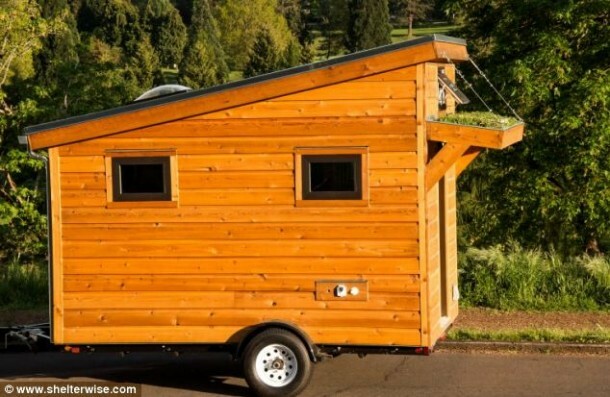 It also comes with a living roof and fold-down window box to grow herbs and vegetables. 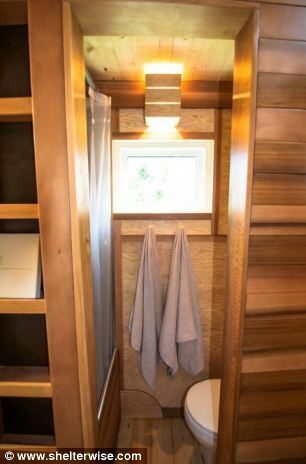 The house is described by Shelter Wise as “a 96 sq. 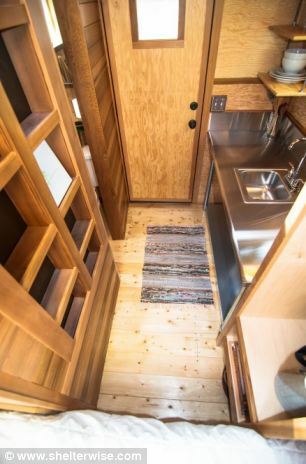 ft. instant cabin designed to be an efficient, durable and budget-friendly Tiny Home.” Originally built as an instructional model to give workshop students a clear look at each of the steps involved in building a Tiny Home, but due to its popularity, the Salsa Box is now available to anyone who can afford the price (and also doesn’t have a large family). In terms of construction, the Salsa Box is made using FSC (Forest Stewardship Council – an international non-profit organization that promotes responsible forest management) certified wood. It also has a metal roof and efficient low-emissivity (Low-E) windows that provide better insulation than standard windows. 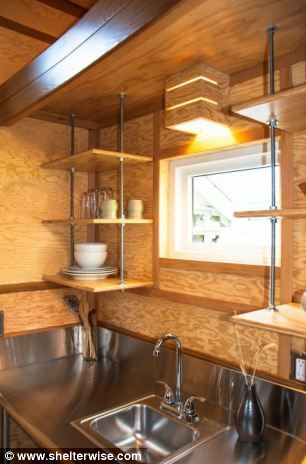 The construction process is simple and uses weight-saving, energy-saving and space-saving measures. 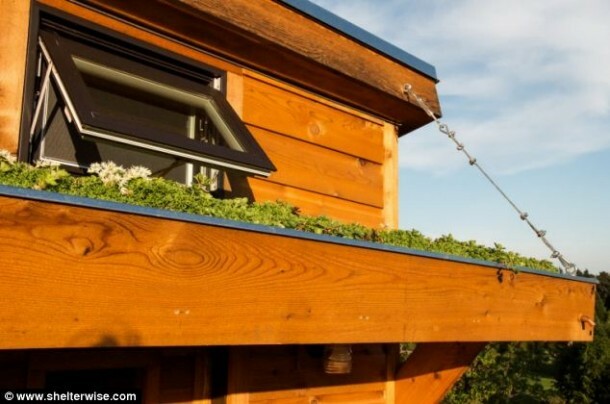 A Living Roof over the porch, comes in 12′, 16′ and 20′ lengths and gives the home that extra edge. A permit to tow is not needed since the Salsa Box can fit on a standard trailer, and it can even be modified to rest on foundations, if required. A pretty amazing new concept that’s also environmentally friendly, isn’t it?